Diesel And Death is a great racing game developed by 3RD Sense. 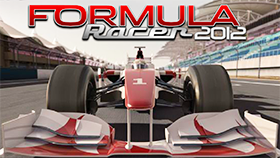 If you are looking for a simple yet fun racing game then this game is for you. In this game you drive a motorcycle called "Death" and you race against your opponent named "Diesel" in a 1VS1 race. Your task is to drive as fast as you can and reach the destination before your opponent does. In Diesel And Death, you ride your motorcycle over the mountainside with complex terrain. There are slopes, large boulders and holes in the way. If your motorcycle is overturned, or you fell into the pit, you’ll waste time as you respawn. There is also another way to win, and that is to destroy your enemy. Along the way, you can collect power-ups that’ll help you destroy your opponent. The game has a variety of weapons like a flamethrower - mid range fire attack, a sludge – a slime cannon that shoots backwards, a nail-gun - rapid fire and shoots forward, a nuke – a devastating close range attack, a grenade as well as multiple different power-ups such as turbo - quick speed boost, shield - temporary invulnerability, and a repair kit - restores health to the bike. 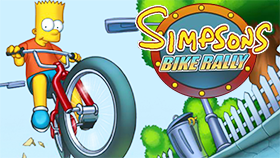 I hope you enjoy this racing game. Good luck and have fun! The top of the screen displays the health, current power-up and mini-map. You can look at the mini-map to determine the distance between you, your opponent and the finish line. Collect weapons/power-ups from crates whenever you see them. Diesel And Death Unblocked is a great puzzle game and you can experience it yourself at freegames66. This reputable website lets you play many different unblocked games. All unblocked games here are free and the website has a user-friendly interface. Now, enter Diesel And Death Unblocked, go as fast as you can, collect weapons/power-ups and beat your opponent. Play now!